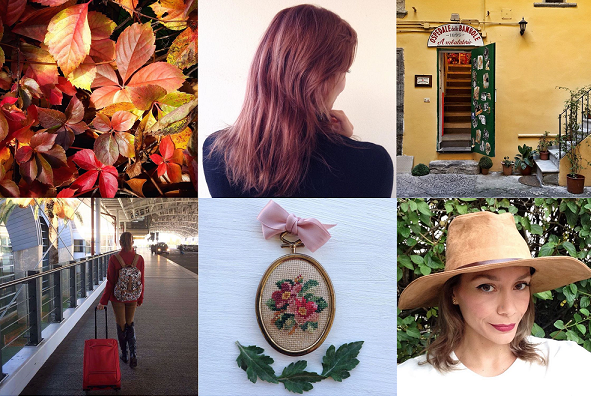 Sharing some November snaps straight from my instagram profile, @insta_lilliness. Lilli che scatti raffinati. Per fortuna che ho ti seguo in diretta e mi accorgo di tutt quest meraviglie subito. Bellissime le tue foto, super belle!!! Bello il riepilogo, il vestito a fiori è stupendo! Tutte bellissime le tue foto Lilli. Sono certa che a Napoli, oltre che dalle sue bellezze, ti sarai fatta rapire da pizza, sfogliatelle, e tanto altro. Unbelievable, again is a month over. But your pictures show me, you had a fantastic Novembre, dear Lilli. I really like your mixture of photos. A little bit nature, a little bit fashion and a little bit you. Naples is a very nic city. I like it too. Enjoy your evening dear Lilli. Hi, I would enjoy visiting Naples too. The food is delicious especially the pizza. You look great and so stylish for Fall. Oh I don't go onto Instagram much anymore Lilli. And it's a shame because your photos always make me smile. I see you've been inspired by florals lately. I need to get on it more.